Tales from the Duck and Cherry: Believe in Fairies? Boys who wouldn't grow up occupied the imagination of British writer J.M. Barrie (born May 9, 1860), making appearances in his work both before and after his iconic play, Peter Pan. The story about the Cottingley Fairies is fascinating. 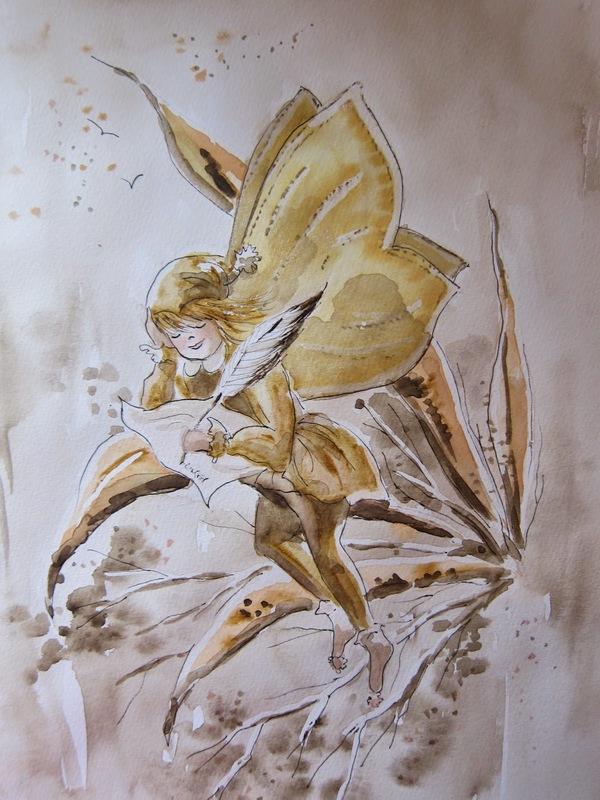 Is it possible that two young cousins, aged 10 and 15, actually saw and played with real fairies? The year was 1917 and Elsie Wright and Frances Griffiths spent the summer posing and photographing each other and the fairies of the woodland near Bradford in England. Funny how the photographs caught attention from prominent people. A leading member of the theosophical society in Bradford, a broadcaster and historian, a physical researcher, a novelist, a clairvoyant. These men were all involved in what was called "a visible evidence of psychic phenomena". One of the most eager supporters of the claim that the photographs portrayed real fairies, was author and spiritualist Sir Arthur Conan Doyle, well-known as the creator of the Mysteries of Sherlock Holmes. His article in the December 1920 issue of the Strand, included two of the five fairy photographs by the girls and an admonition to the readers to believe. It was Conan Doyle's hope, that if he could get people to believe in fairies, they would also accept other exceptional marvels. The girls proclaimed ownership to real visitations with fairies. They were interviewed many times over the years, but always stuck to their story. In 1976 they agreed that "a rational person doesn't see fairies". Still, they claimed the photographs to be the real thing. It was not until 1983, that they admitted that four of the photographs had been faked (they disagreed on the fifth one), but even then, maintained that they really had seen the fairies. It was difficult for two young girls to raise their voice and set things right, after a famous and brilliant man like Sir Arthur Conan Doyle had believed their hoax. It took them 66 years to give in and were under a lot of pressure from journalists, both in newspapers and television. They did not think of fooling anyone, and were surprised that so many believed their photographic fun to be true. Francis died in 1986, Elsie two years later. 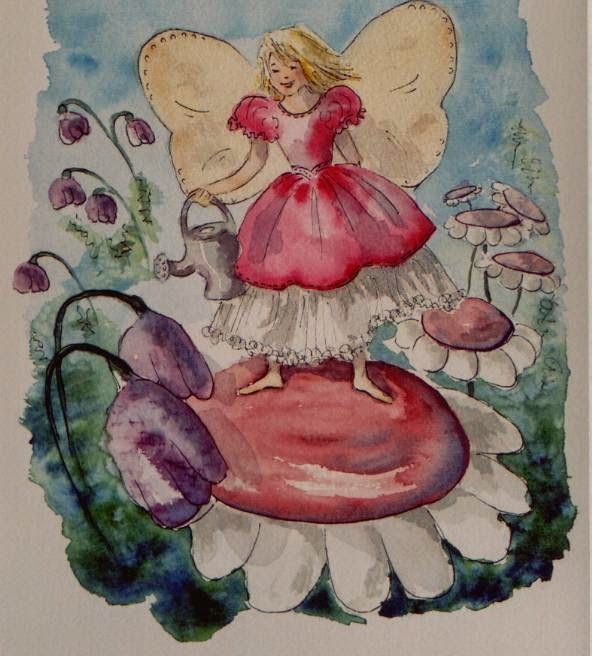 In 1998 a London auction sold prints of their photographs and other things, including a first edition of the Coming of the Fairies, a book by Conan Doyle for £21 620. 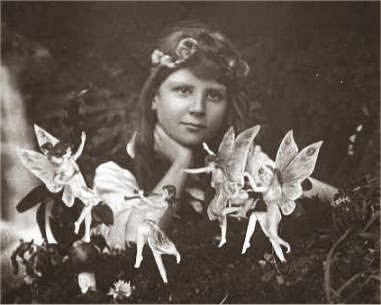 Photograph: Frances Griffiths with Fairies. Taken in 1917, first published in 1920 in the Strand Magazine. Three water colors of some of my fairies. Så interessant å lese, samt at feene dine er bare så vakre! Ja, det er en utrolig historie. Har et av bildene deres på kontoret mitt. Takk for at du liker mine feer.